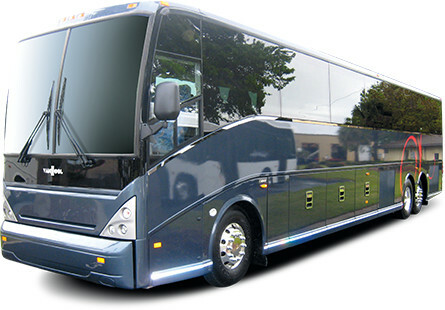 This Van Hool Coach features a custom RealWheels Trim Package. Our Super Sized Axle Covers are designed to fit the larger European Bus, Fire Engine and Truck Axles. You’ll be impressed by their unique look and craftsmanship. Made from 304L non-magnetic stainless steel, they’ll shine forever. The front cover has a flat profile with a beveled edge. The rear high hat uses our Band Mount Spring Clip System. RW6230-V 22.5″ Front or Tag Axle Cover. Aluminum or Steel Wheels. RW62101-V 22.5″ Rear High Hat. Band Clamp Mount. 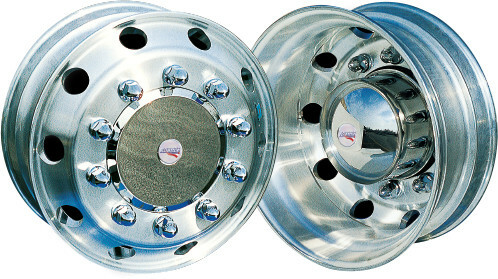 Aluminum or Steel Wheels.